NEW YORK (WABC) -- It's the largest single-screen movie theater in New York City, and was the site of countless star-studded premieres over the past half century. 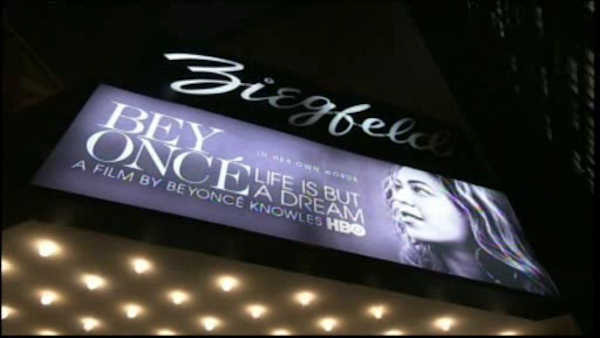 But the iconic Ziegfeld Theatre is expected to screen its last showing in the next few weeks. Its operator, Cablevision, has lost its lease. It'll go instead to Gotham Hall, which plans to transform the space into a ballroom. Fisher Brothers and Core Ziegfeld, LLC, which owns and operates Gotham Hall, announced they have finalized a 20-year lease at 1345 Avenue of the Americas to create The Ziegfeld Ballroom, a grand 21,331 square-foot event space. When it opens in the fall of 2017, The Ziegfeld Ballroom will be Midtown Manhattan's only free-standing, street-level event space. It will offer three floors of high-end event space for galas, corporate and social events, movie premiers and other special occasions and will generate some 150 new direct and indirect jobs. In homage to Florenz Ziegfeld and his original circa 1927 theater, which was subsequently replaced by the current venue in 1969, the dcor will be designed in an art-deco inspired style by the project's architect Richard Bloch. B. Allan Kurtz, the managing director of Gotham Hall, will also serve as managing director of The Ziegfeld Ballroom, which will replace the Ziegfeld Theatre cinema. "There is no better space in the City of New York to become a sister property for Gotham Hall with so many parallels between the two, such as their convenient, free-standing locations and configurations that accommodate a grand ballroom complemented by a mezzanine," Kurtz said. "Even the iconic name of Ziegfeld represents a link as it is so emblematic of the era in which the circa 1924 Gotham Hall was built." "The owners of the Ziegfeld Theatre notified us that they have a new tenant for the location and, therefore, we will be exiting our lease in the coming weeks to accommodate the new tenant. We wish the owners of the Ziegfeld Theatre the best of luck with the future of the establishment and with the new tenant that they have selected."